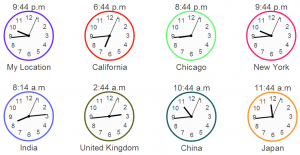 Have you ever wandered into an office and saw a series of clocks hung on the wall. 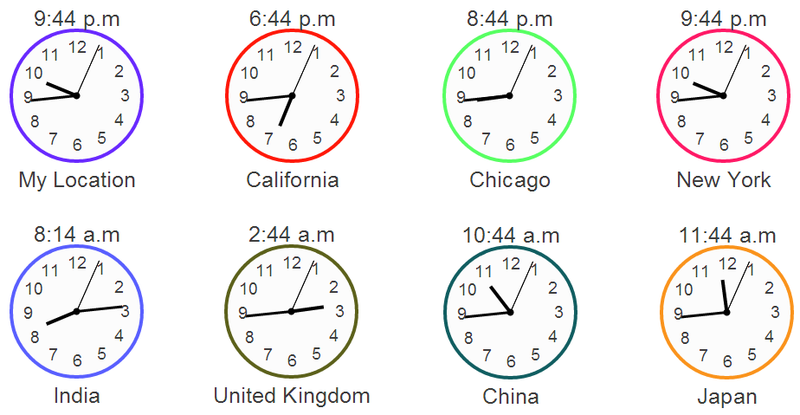 Each clock showing time for a different city named at the bottom of the clock? Well, now you can have the same setup on your own dashboard. InfoCaptor Dashboard Software now integrates with the powerful d3js library for some cool visualizations.